Feb. 10, 2017, 11:17 a.m.
By Laura Hazard Owen @laurahazardowen Feb. 10, 2017, 11:17 a.m.
Take a peek at the bestseller lists and it’s clear that people are grappling with President Trump by reading things they might not have otherwise. As of this morning, George Orwell’s 1984 is No. 3 on Amazon’s list of bestselling books and Margaret Atwood’s The Handmaid’s Tale at No. 8. But in this time of filter bubbles and “Blue Feed, Red Feed,” it’s important to stretch beyond dystopian fiction (and Facebook) to get an idea of what the side opposite to yours thinks. Author: José Cárdenas served in foreign policy positions in the Bush administration. Until recently, it was probably difficult for people on the left to imagine a worse pedigree. But he does know Latin America, and this article sounds a warning. Why you should read it: Almost nowhere in the mainstream press have we seen a discussion of the way that the election of Trump has affected his bete noire, Mexico. Cárdenas has an ideological revulsion for leftwing populists such as André Manuel López Obrador, but his point still stands: Trump’s policies and posturing may have the unintended consequence of electing a government that is actively hostile to him, and to US power. If you read Burst Your Bubble regularly (and the column has become quite popular on The Guardian’s site, Wilson said), you’ll notice that many of the same news outlets and authors — National Review, Commentary, Reason, The American Conservative, New York Times columnist Ross Douthat, The Atlantic’s David Frum — keep popping up. While those are not ideologically monolithic, they are broadly “highbrow conservative publications struggling with the reality that a candidate that a lot of them attacked during the election is now the president,” Wilson said. It’s perhaps these types of articles that are most satisfying for liberals to read, so I asked Wilson whether the strong presence of #NeverTrump conservatives defeats the column’s point (though there are certainly plenty of articles to enrage liberals as well). Selecting the right content for the column has been a challenge, he said, and one of the reasons that he tends to rely on fairly established outlets is that “a lot of the new outlets on the right are more sensational, more of a tabloid style, with more tabloid-style values.” (A couple examples he cited: Heat Street and Twitchy.) A lot of newer conservative commentators — Tomi Lahren, Tommy Sotomayor — have risen to popularity not through traditional media channels but through social media and popular YouTube clips. These are “interesting, distinctive voices,” Wilson said, but they probably aren’t the kind of things that he is going to direct Guardian readers — which perhaps illustrates the degree to which one’s filter bubble can be as much about format and tone as ideology or partisanship. “We’re trying to show people that there are thoughtful conservatives, conservatives who are critical of Trump, and their criticism may take different forms from the progressive side, but it’s nonetheless interesting and productive and useful to see those kinds of criticisms being made,” he said. Photo by Dykam used under a Creative Commons license. POSTED Feb. 10, 2017, 11:17 a.m.
Owen, Laura Hazard. "With “Burst Your Bubble,” The Guardian pushes readers beyond their political news boundaries." Nieman Journalism Lab. Nieman Foundation for Journalism at Harvard, 10 Feb. 2017. Web. 20 Apr. 2019. Owen, Laura Hazard. 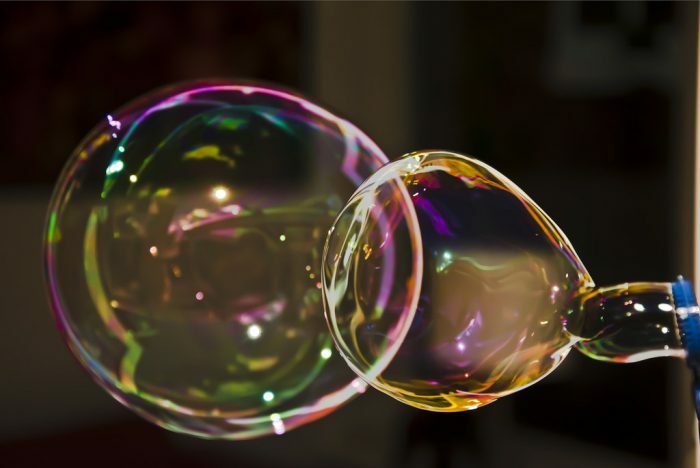 "With “Burst Your Bubble,” The Guardian pushes readers beyond their political news boundaries." Nieman Journalism Lab. Last modified February 10, 2017. Accessed April 20, 2019. https://www.niemanlab.org/2017/02/with-burst-your-bubble-the-guardian-pushes-readers-beyond-their-political-news-boundaries/.